IN A GLANCE: I liked this one, but I have a few things that held me back from truly loving it! 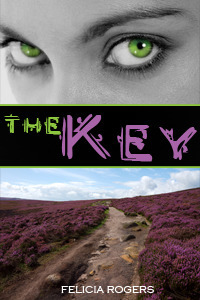 When I got my copy of The Key from the author, I was very excited to read it. I really enjoyed this story a lot. I love fantasy books and this one has an element in it that is very different. Gryphons...need I say more? Who doesn't love gryphons right? There were a few things in this book though that really held me back from really loving it. One being that the story seemed a little scattered for me. It jumped around a lot, losing me in places. The second thing that really got to me the most was that the teenagers in this story didn't really seem like teenagers to me, they didn't talk like teenagers at all. Which in return made it really hard for me to connect with the characters seeing as they were supposed to be teenagers. The plot itself was great, like I said though it wasn't enough to make connecting with the teenagers not important to me. I will say I think you should read this book and see what you think, but this is how I feel about it. I liked the story, but it could have been a lot better with out those blemishes that took away from the story for me.